For as long as I have been a writer, I’ve never had a writing routine. Nor have I ever committed to writing everyday (save for my 30/30 poetry challenge back in January). Life always seems to get in the way, and by the end of the day, I have so many ideas or thoughts I wish I had written down. I know I failed on my blogging challenge from a couple of months ago, but I’m hoping that I can commit to at least five days a week, if not the entire week, even if I don’t label it a “challenge” (because then that would mean I’m doing a 365/365, and that, my friends, is sheer madness). This has been true of everything I’ve written. With poems, I learn about emotions and thoughts I didn’t know I had. With articles, I learn about whatever subject I’m writing about. When I used to write short stories, I learned about character and plot development, among other things. In the time I’ve been writing, I’ve often hoped that something — a poem, article, or what have you — would make a difference in my readers’ lives. I’ve come to learn that while this is a hope many writers have, it shouldn’t be the end goal every time pen is put to paper or fingers to keyboard. When writing, we should be hoping to make a difference in our own lives — whether it is discovering something new, or performing self-therapy. If your first thought when you open your eyes is “I have to write…” or “I’ve got a great idea for a poem/story/novel…,” you know what that means. 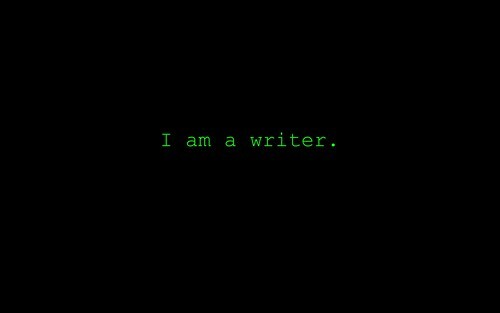 You’re a writer. So go write something. Tagged blogging, letters to a young poet, quotes, rainer maria rilke, sister act 2, writing. « Technology Tuesday – Who Rules the Smartphone Market?